RDA UK is committed to protecting the privacy of our service users, supporters, volunteers, staff and other people who are in contact with the organisation. When you request information from RDA, sign up to any of our services or buy things from us, RDA obtains information about you; this privacy notice sets out why and how we store and use this information. We will collect data about volunteers, staff and supporters to help us deliver an effective service and to provide you with the information or service you require from us. In certain cases we also collect information about riders/drivers and volunteers from our member Groups to enable is to support them in delivering RDA’s objectives. 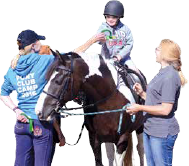 We will use the information about you to administer the activities or programmes that support RDA’s Groups and their riders and drivers. We may pass the information about you to third parties, but this will only be when this is necessary for the effective delivery of our operation. We work closely with any third party and will ensure that your data is also protected by them. We will not disclose any information about you to any company that is not immediately associated with our activities, unless required to do so by law. We store your information securely on our computer system, we restrict access to those who have a need to know, and we train our staff in handling the information securely. 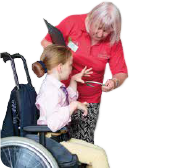 We would like to send you newsletters and other information about RDA UK’s work and how you can support it. If you have consented to receive marketing, you may opt out at a later date. You have a right at any time to stop us from contacting you for marketing purposes. We have a retention policy and use this to define how long we hold information after you are no longer involved with the RDA. In some cases we will securely retain your data for 3 years (or 3 years after a child reaches the age of 18) if we are required to for insurance purposes.